Clifford International Program Kindergarten is a school comprised of 410 students aged three to six years old. 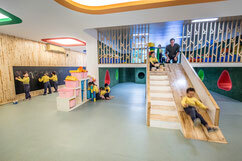 Located in Guangzhou, China, the kindergarten offers full-day English instruction using curriculum based off the Manitoba curriculum from Canada. 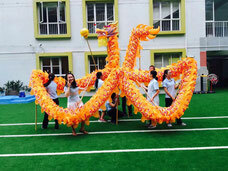 The school has three grade levels, K1, (aged 3-4), K2 (aged 4-5), and K3 (aged 5-6). We have 18 classes and 21 western staff members from Canada, the United States, and England. Each class also has a full time Chinese teacher assistant, trained in early childhood education, who is fluent in both Chinese and English. Furthermore, each class has a care worker who is responsible for each child’s personal needs as well as supporting the western teachers.